1980 242 GT. A reasonable project. It's less than 1 mile west of the old house. The garage really is pretty great. Already have compressed air. Soon there will be 210v, heat, and possibly epoxy on the floor. what about a movable system like a MaxJax? Not much has happened with this car over the past two months because there have been a lot of contractors in and out of the garage doing various things, but it seems that most of that has finally come to a close. So, now I can get BACK TO WORK! Here are a few sloppy pictures of some things in process. Control arms sandblasted, boxed, primed, painted and undercoated. 95 b230ft from the wagon. Need to finish cleaning this up so I can repaint the block, replace a few seals, etc. BBS RC304 17x8 et38. Stripped the plastidip off of these. I'll test-fit and decide if I want to run these on this car in lieu of the 18s I had on the wagon. At <17lbs, it's hard to say no. Front suspension staging area. Found both ball joint boots torn last night (only <5k miles on them), so I'll be ordering a fresh set to toss in with the Kaplhenke QSRCs, and then this all can get bolted in. Last edited by The Full Banana; 12-17-2013 at 01:25 AM..
http://idlehandsproject.com - Keep me busy. The dash came out of my '87 245. Perhaps someone swapped it before I got the car? At any rate, it's not an early dash so I'm happy. I think you're doing a great job. Nice work! 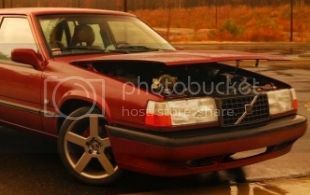 i had a 90 with that hole, volvos are weird in many ways. I would never feel comfortable claiming a dead set cutoff date on any production parts ect. Great project, awesome progress so far! Last edited by Old Iron; 12-20-2013 at 09:28 PM..
My 89' has the hole in the dash as well. I'm pretty sure they filled it in for '92 and '93. Look at those tiny brakes. I bet they can't even stop the car. Who needs brakes when you have jackstands? and ready for the next step! Painting the block is always one of the most encouraging steps in all these project threads! I'm enjoying this build. Keep up the great work. Managed a solid day of progress, and I'm pretty happy with how things are coming along. Dash is in (kind of). The flocking is definitely doing it for me. I ran most of the chassis wiring today--perhaps I'll finish that tomorrow and start thinking about where I want to mount things. I'm trying to keep it pretty tidy and not have too much stuff in the bay. Front suspension is also in, aside from a few touches here and there. And the unintentionally blingy alternator. I had some other things show up in the mail today that I forgot to take pictures of, so I'll likely toss up a quick update tomorrow as well. what did you use to flock your dash? For the price, I couldn't resist trying it out. If I were to do it again (which I would), I would use a roller or hvlp to apply the adhesive. I think it's just one of those things that you have to do a couple times to get down. In other news, a package showed up from AZ yesterday. I'm pretty excited at the prospect of being rid of the limp-wristed m47. I really like where your taking my old 242 I'm really glad it went to you. Everything seems so well placed and thought out. 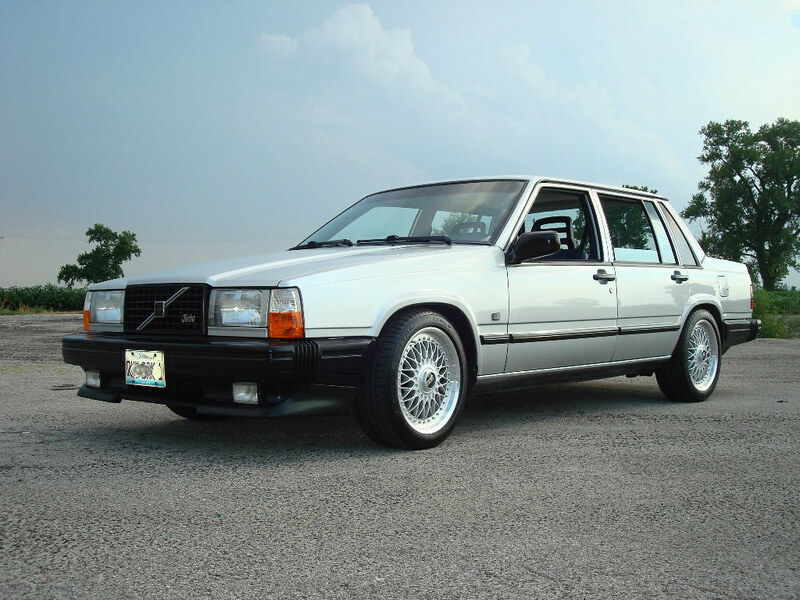 I'm excited to see it on the road again with a volvo power plant. The dash and enginebay really set the car off well. Is that adapter plate steel?! Looks steelishh in the picture.